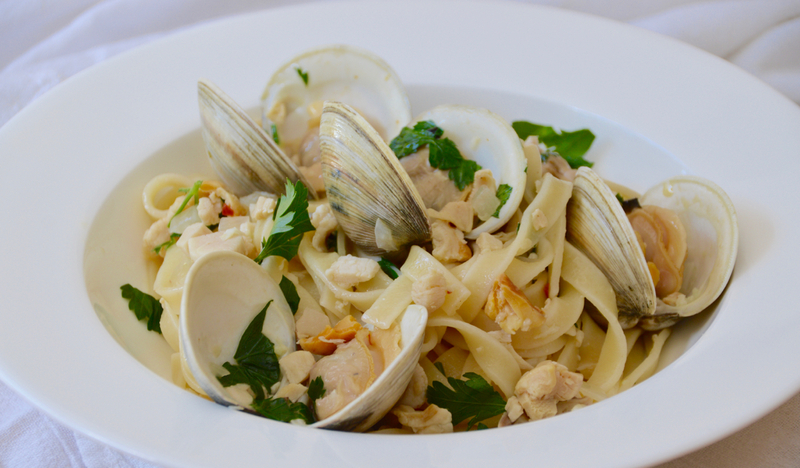 When I was in college, I worked at an Italian restaurant in Providence, RI that was famous for their linguine with clams - it was even featured on a Food Network TV show! They offered red or white sauce, and if you know what's best for you, you order the white sauce. Red sauce is good I guess, but white sauce is out of this world. The rich, buttery, white wine sauce leaves you scrambling for some bread to sop it all up when you're done, even after you just inhaled an entire plate of pasta. The only problem is that if I ate that dish these days, I wouldn't be feeling light as air and walking on clouds...it's quite a heavy dish! So I made it my mission to make my own healthier version. 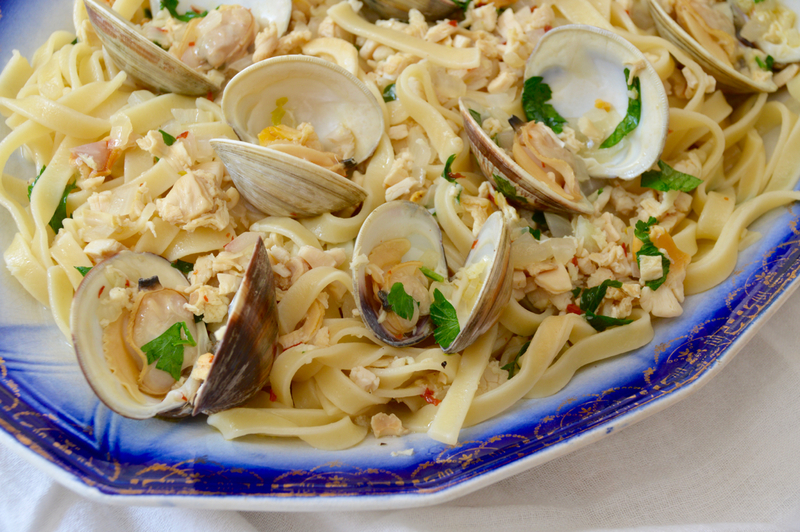 Linguine alle vongole is Italian for linguine with clams, and is very popular in coastal regions of Italy. This is also a very popular dish here in America, and another great way to cook your catch here in New England on Cape Cod. This recipe is wonderful to serve on a cool summer evening, along with crusty grilled bread and a big salad. I can picture it already - the outdoor table set, the lanterns lit, the sun setting, the birds chirping, a bottle of white wine chilling and a big ole bowl of spaghetti alle vongole about to be devoured. It's important to remember that Italian food is meant to be simple. Simple, fresh ingredients are what make Italian food so wonderful, so don't go thinking you'll have to spend a fortune to make this dish! 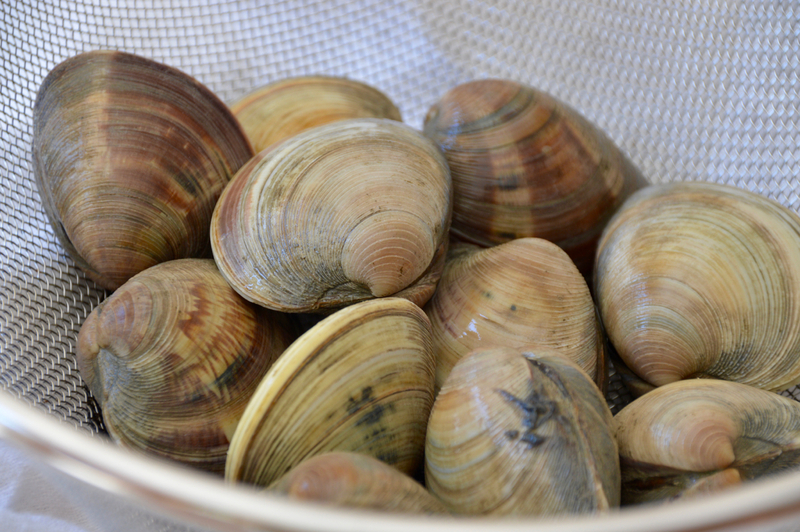 To start, you'll want to get yourself some fresh littleneck clams from the market. A pound of littlenecks should only take you back about $5. When you get home, put them in a strainer and wash and scrub the shells. I like to add in extra clam meat to my sauce, so I like to purchase canned chopped clams to bulk it up. 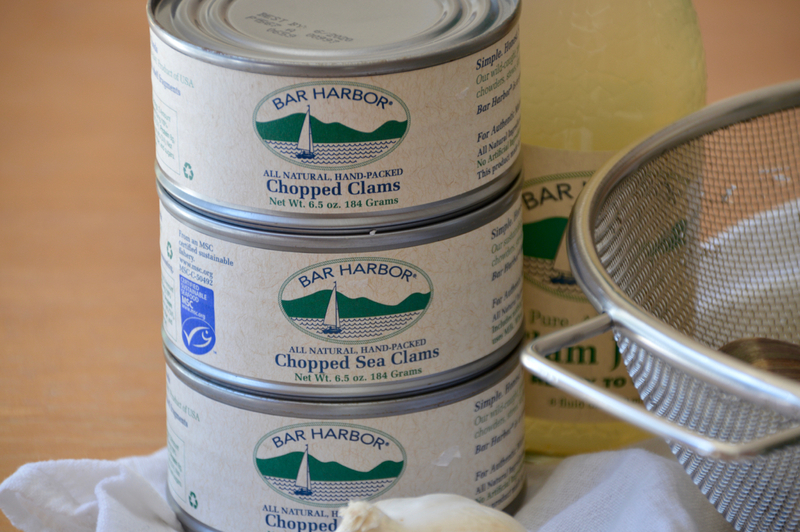 I only buy the Bar Harbor chopped clams from Maine, not only because they taste fresher than other brands, but also because I know they're local to me. 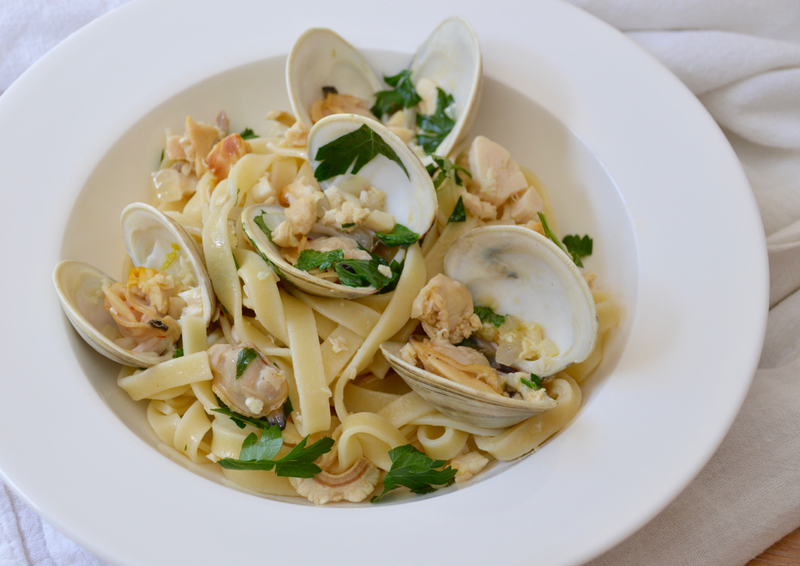 If you don't want to use canned chop clams, then plan to double or even triple the poundage of littleneck clams at the market, and then pick up a bottle of clam juice (Bar Harbor makes a great clam juice as well). 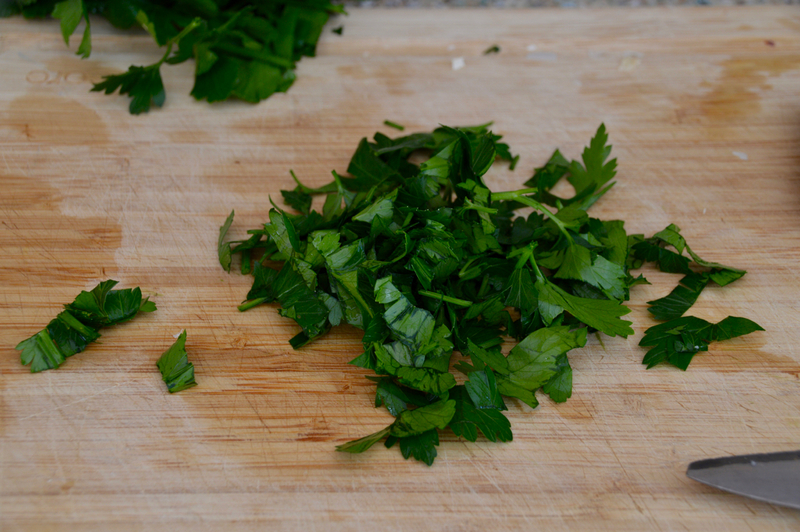 The other ingredients that make a vongole sauce is fresh garlic cloves, fresh flat leaf parsley, and a good white wine. I also love a little spice in my dishes, so a pinch of red pepper flakes is added to my sauce as well, but that is optional. Make sure to also try to find fresh pasta instead of dried and boxed versions. You'll want to make sure whatever pasta you're using is cooked al-dente, however fresh pasta will just have that really good bite to it, with a slight chewiness that really holds up nicely to the sauce. 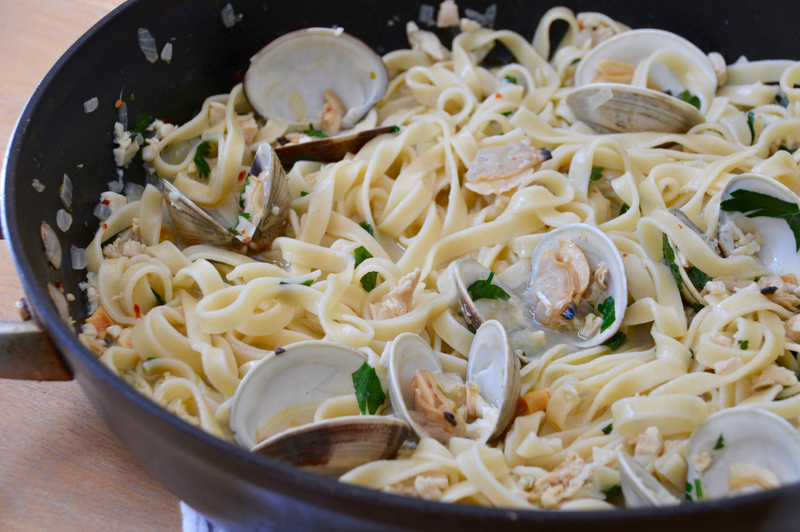 Once the pasta is done and the sauce has simmered to the point that the clam shells have opened, toss everything together in the same pan before serving. This lets the pasta absorb some of the juices in the sauce before it hits your plate, giving you even more flavor. 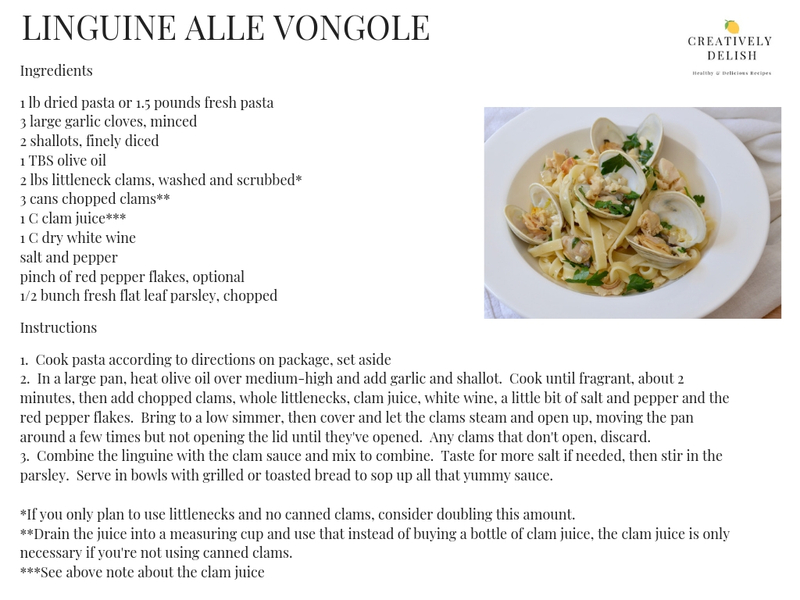 You can view the recipe below or click here to print. This is intended to serve 4 people and should take you about 20 minutes to throw it all together. Enjoy!